This awesome smart robot vacuum cleaner is 35% off, grab one for $130 (deal ends today)! Maintaining a clean home can be a hassle, especially if you are a pet owner. If you're looking for some help with tidying up, this deal from Newegg Flash might be just for you. 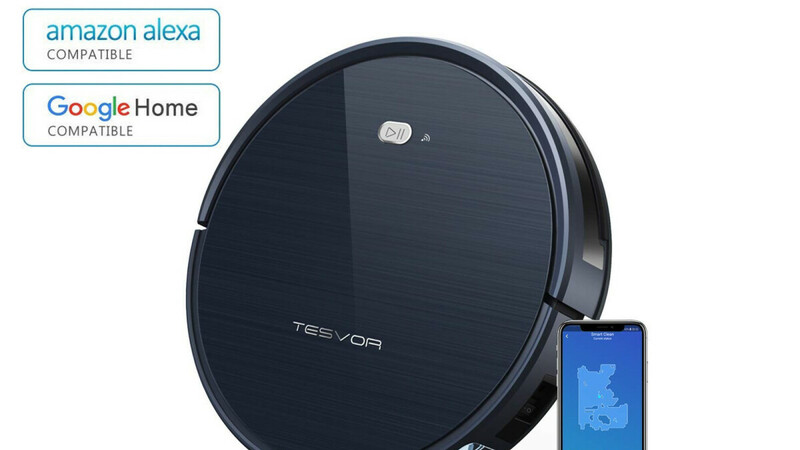 The e-commerce website is offering a sizeable discount for a Tesvor smart robot vacuum cleaner. This model typically retails for $200, but right now, you can get one for $130 at Newegg. That's a price cut of $70 or 35%. The Tesvor robot vacuum can be controlled in multiple ways - it comes with a remote, but you can also use your Google Home or any Alexa-powered smart speaker to tell it to start or stop cleaning. Downloading the dedicated app on your phone will allow you to see a real-time cleaning map of your home, customize cleaning patterns, schedule cleanings, and check up on progress. As opposed to other models in this price range, the Tesvor TS500XW uses a gyroscope for better navigation. The vacuum cleans in an S-shaped pattern, which supposedly covers more room and is more effective. Maximum suction power stands at 1,600 Pa, and the gadget can operate up to 100 mins before it automatically returns for a recharge. The vacuum comes with a standard 1-year warranty and shipping is free. If you're interested, we'd advise you to hurry, as the deal ends in less than 22 hours from the time of writing.